Analyze state and federal legislation, court orders, regulatory opinions, and interpretations regarding access to and participation in higher education, state contracts and state employment. The Committee should monitor the U.S. Department of Education's evaluation of the Texas system of higher education to determine compliance with the Civil Rights Act of 1964. Evaluate current state programs, practices and policies in light of the Hopwood opinion to determine compliance with current legal restrictions and effectiveness in achieving intended goals. Also, evaluate the state's equal opportunity provisions regarding contracting with historically underutilized businesses (HUBs) and minority hiring practices to determine compliance with current legal restrictions and effectiveness in achieving intended goals. 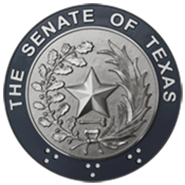 Make any necessary recommendations to achieve fair and equal access to and participation in higher education, state contracts, and state employment by all Texans, including disadvantaged persons. The Committee should define which, if any, individuals or groups of individuals should be considered "disadvantaged". The recommendations should identify the necessary legal or administrative action by the state to achieve its goals. The Committee should indicate whether its recommendations, or current guidelines relating to fair and equal access to and participation in higher education, state contracts, and state employment, should be placed in general law, agency rules, or riders in the state's General Appropriations Act.